Marquees of all Shapes and sizes available for hire in all Essex Area's, Heavy Duty Wedding Marquees, Party Tent's, Garden Marquees large and small, We at Elite Marquee hire in Essex do it all. Themed Marquees, All Kinds of Wedding Marquees, Party Tent's from £199.00 for hire in Essex. Roof Linings, Standard and Chandelier Lighting , Matting, Hard-Floors and Dance-floors, Bars, Catering Tent's, Generators. 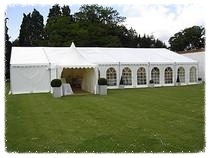 Professional Marquee Hire in Essex can be cheaper than you would expect. Organising a Wedding, Party or Function in Essex??? We have standard Marquee Hire Packages Ilford and a tailored service to suit our customers needs in Essex. Call Today. Marquee hire for less in Essex, Save money with our 5 day marquee hire service - ideal for weddings. Cheap Marquee Hire in Clayhall, Elm Park, Thurrock garden party tent's and quality Marquee hire Barking including the area's of Aveley, South Ockendon, Purfleet and Cheap marquees for hire in Grays, Harold Hill and Harold Wood. Call for a free quotation for one of our Exclusive Marquees for weddings they are quality Marquees and cheap Too. We are continuously expanding and we now serve Orsett, Marquee Hire in Brentwood & Chelmsford, Chadwell St. Mary and we are supply the cheapest professional marquee hire for Tilbury in Essex. Fully heated professional Marquee hire is available all year round, Our strong tent's and Marquees have proven themselves in the toughest of winter weathers. Now available Cheap Marquee Hire in Gants Hill, Woodford , Newbury Park, small marquee hire Buckhurst Hill and Chingford. Chelmsford, Brentwood, Romford including Upminster, Hornchurch and Emerson Park, Enfield, Watford and Ilford, Barkingside, Shenfield, Chigwell, Rush Green, Seven Kings, Goodmayes, Cheap garden marquees for all occasion's in Buckhurst Hill, Nazeing, Billericay, South Woodham Ferrers, Leigh on Sea, Purfleet, Aveley and South Ockendon, Harold Hill, Southend, Gants Hill in Redbridge. Cheap garden marquees and Tents for parties or Wedding available in Rayleigh, Laindon, Pitsea. Abberton, Abbess Roding, Abridge, Aldham, Alphamstone, Alresford, Althorne, Ardleigh, Arkesden, Ashdon, Asheldham, Ashen, Ashingdon, Audley End, Aythorpe Roding, Bardfield Saling, Barking, Barnston, Barrow Hill, Basildon, Beauchamp Roding, Belchamp, Berden, Berners Roding, Bicknacre, Billericay, Birch, Birchanger, Birdbrook, Blackmore, Black Notley, Bobbingworth, Bocking, Boreham, Borley, Boxted, Bradfield, Bradwell on Sea, Braintree, Brentwood, Brightlingsea, Broomfield, Broxted, Buckhurst Hill, Bulmer, Bures Hamley / St Mary, Burnham on Crouch, Benfleet, Broxted, Canvey Island, Castle Hedingham, Chadwell St. Mary, Chelmsford, Chignall Smealy, Chigwell, Childerditch, Chipping Ongar, Chrishall, Clacton on Sea, Clavering, Coggeshall, Colchester, Cold Norton, Colne Engaine, Corringham, Dagenham, Debden, Dedham, Dengie, Doddinghurst, Dovercourt, Downham, Dunmow, Drapers Green, Duddenhoe End, Earls Colne, East Horndon, East Mersey, East Tilbury, Elmdon, Elmstead Market, Elsenham, Epping, Farnham, Faulkbourne, Feering, Felsted, Finchingfield, Fingringhoe, Flitch Green, Foulness Island, Foxearth, Frating, Frinton on Sea, Fryerning, Fyfield, Galleywood, Gosfield, Grays, Great Baaddow, Great Bardfield, Great Bentley, Great Bromley, Great Dunmow, Great Horkesley, Great Maplestead, Great Oakley, Great Notley, great Oakley, Great Saling, Great Totham, Great wakering, Great Warley, Great Yeldham, Hadleigh, Halstock, Halstead, Harlow, Harwich, Hatfield Peverel, Hawkwell, Helions Bumpsted, Henham on the Hill, Herongate, Heybridge, High Beach, High Laver, Hockley, Horndon on the Hill, Horsley Cross, Howe Green, Hullbridge, Hutton, Ingatestone, Ingrave, Kelvedon, Kelvedon Hatch, Kirkby le Soken, Lambourne, Langenhoe, Latchingdon, Lawford, Layer de la Haye, Leigh on Sea, Lexden, Liston, Little Baddow, Little Bentley, Little Bromley, Little horkesley, Little Maplestead, Little Totham, Little Warley, Loughton, Maldon, Manningtree, Margeretting, Marks Tay, Mashbury, Matching Tye, Messing, Mistley, Mount Bures, Mountnessing, Mundon, Navestock, North Benfleet, Northey Island, North Shoebury, Nounsley, Oakwood Park, Old Heath, Ongar, Orsett, Osea Island, Ostend, Ovington, Pale Green, Parkesden, Pentmarsh, Pentlow, Pilgrims Hatch, Pitsea, Pleshey, Potton Island, Prittlewell, Quendon, Ramsey, Rawreth, Rayleigh, Rayne, Ridgewell, Rochford, Rowhedge, Roydon, Saffron WalDen, St Lawrence Bay, St Osyth, Sandon, Sewards End, Shelley, Shellow, Bowels, Shenfield, Shoeburyness, Sible Hedingham, Silver End, South Benfleet, Sounthend on Sea, Southminster, South Ockendon, South Woodham Ferrers, Standford le Hope, Stansted Mountfitchet, Stanway, Stanbourne, Stapleford Abbotts, Steeple BumsteAd, Stebbing, Stisted, Stock, Stondon Massey, Stow Maries, Sturmer, Takeley, Trendring, Terling, Thorpe le Soken, Thaxted, Theydon Bois, Thorrington, Thundersley, Thurrock, Tilbury, Tiptree, Tollesley, Tolleshunt Knights, Toot Hill, Toppesfield, Two tree Island, Ugley, Vange, Virley, Wallasea Island, Waltham Abbey, Walton on the naze, Warley, West Begholt, Westcliff on sea, West Horndon, West Mersea, West Tilbury, Wethersfield, White Colne, White Court, White Notley, Wickford, Wickham Bishops, Wiggens Green, Wimbish, Witham, Wivenhoe, Wix, Woodlands Park, Wormingford, Wrabness, Writtle, Youngs End. "Thanks to all at Elite Hire Company.. You all made a real effort with the planning of our celebration. We were over the moon with the marquee and decoration, It really did look wonderful and the whole family had a special day to remember...We will be making another booking soon and referring your company in the future " A. Samuels 12.7.2017 - South Woodford. "Thanks to you fellas for saving me at the last minute when i needeed to hire a marquee for my daughters birthday party"
Our commercial Marquees are perfect for parties, function's and events of all sizes, Get a competitive quote today. Use a reliable, Well - Established Marquee Hire Essex Company!!! Marquee's and Party Tent's for hire in Essex to suit all requirements and budgets. Create more space for your wedding or garden Party, Clayhall marquee hire Essex. 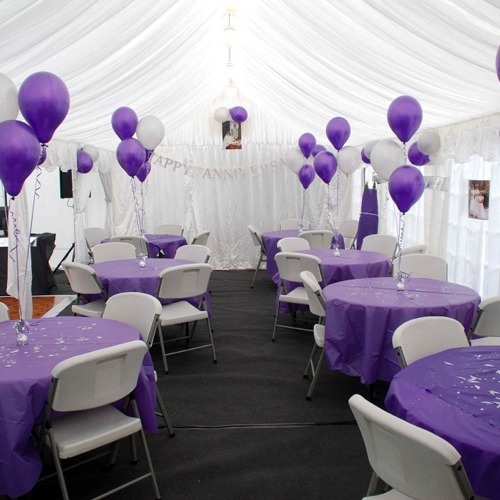 Transform a marquee or a party tent into the ideal Essex venue or function suite. Marquees for hire covering all area's in Essex. Elegant designs at prices that really will delight you. Cheap Marquee Hire in Waltham Abbey. and Watford. Professional yet the cheapest marquees for hire in Ilford, Bushey, Oxhey, Romford, Wanstead, Shenfield, Chigwell and Loughton, Garden Marquee Hire Enfield and Walthamstow, Plaistow. Now offering Cheap Marquee hire for Gardens in Buckhurst Hill, Loughton, Epping and Watham Abbey and Watford, Parties, Weddings, Events, and Functions in East London Walthamstow, Harold Wood, Plaistow, Mile end, Bow, Stepney Green, Woodford Bridge and Chigwell, Whitechapel and Canvey Island Too.